A Broadstairs energy manager will take on next year’s London Marathon in memory of her grandad. 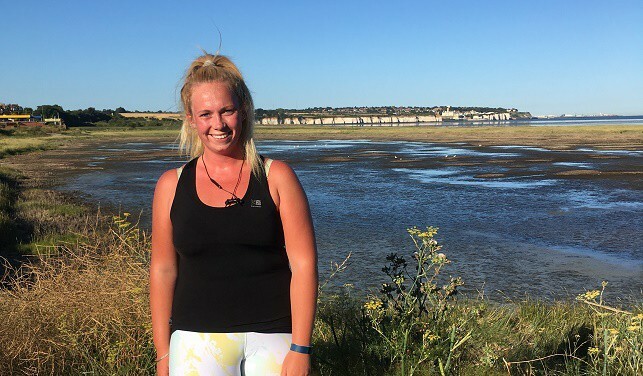 Rachael Osborne, who works at Discovery Park, is leaving nothing to chance with her training already underway to put her in the perfect shape to conquer the famous 26.2 mile course, as well as fundraising for a fantastic cause. Rachael, 26, lost her grandfather to Motor Neurone Disease and her memories of him will be driving her on through the Winter months with a determination to raise awareness and funds for the work of a charity close to her heart. MND is a debilitating condition that leads to the deterioration of the motor system, which causes sufferers to struggle with mobility and speech. The disease also significantly reduces life expectancy and many people pass away within a few years. Rachael’s grandfather, Brian, was diagnosed with MND in October 2016. 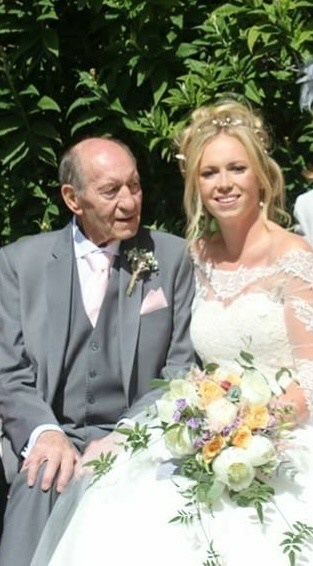 He sadly lost his battle nine months later, only a week after proudly walking Rachael down the aisle at her wedding. In honour of her grandfather, Rachael is aiming to raise as much money for the Motor Neurone Disease Association as possible. She is hoping to reach her goal of £2,500 through sponsorship, a live music night and charity raffles. The Motor Neurone Disease Association helped provide counselling and support both to Brian and his family throughout the difficult time following diagnosis. The charity also adapts houses, provides communication devices and specialist chairs to aid movement and speech. Rachael said of her marathon plans: “This is my first marathon and I’m not sporty at all, so it will take a lot of work to get me ready for April. I’m looking forward to running the marathon itself, as I know the adrenaline, atmosphere and support will keep me going. Kimberley Anderson, CSR and Community Manager at Discovery Park, added:“Discovery Park and the team are very proud of Rachael. We have watched as she passionately raises funds to support the Motor Neurone Disease with her grandad always in her mind.